3 5. Which act stated that British Parliament "had, hath, and of right ought to have, full power and authority to make laws and statutes of sufficient force and validity to bind the colonies and people of America... in all cases whatsoever"? 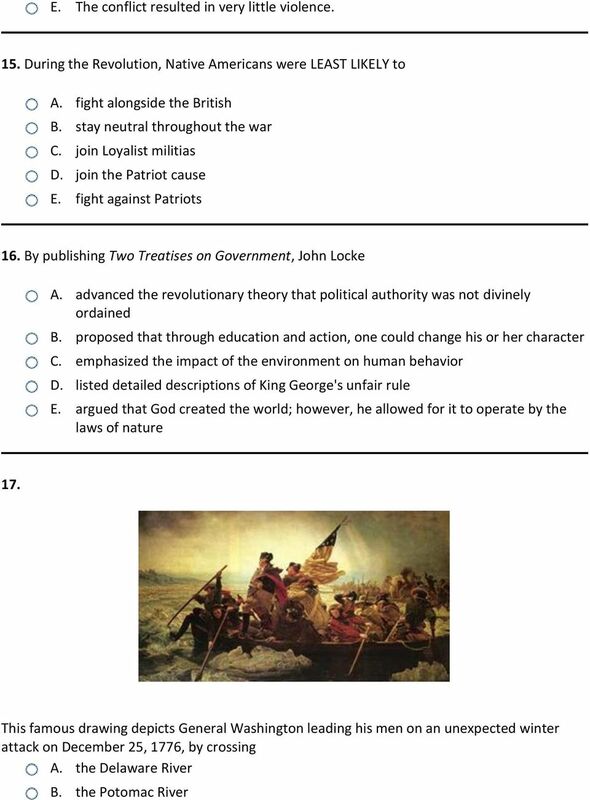 A. the Intolerable Act B. the Sugar Act C. the Quartering Act D. the Declaratory Act E. the Stamp Act 6. Benjamin Franklin was successful in achieving which of the following? 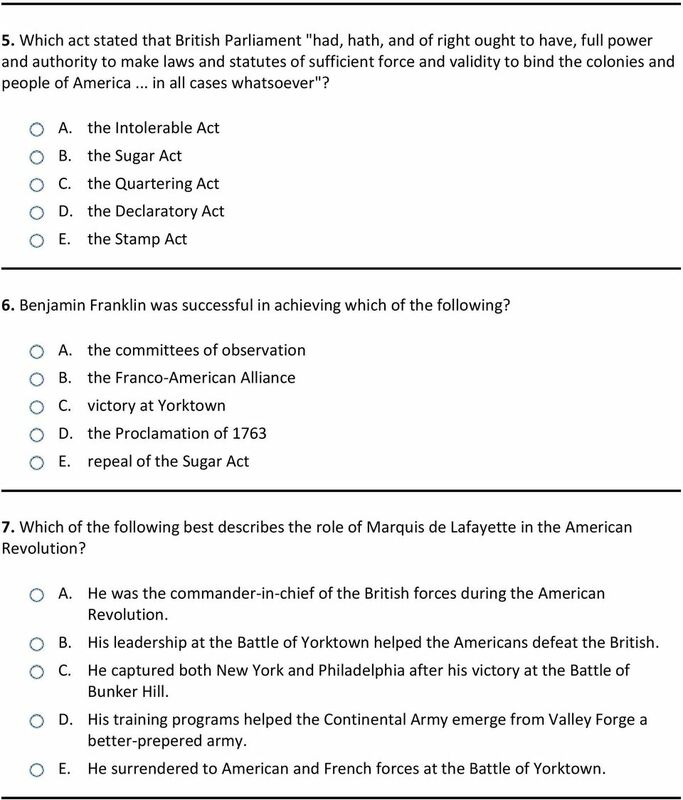 A. the committees of observation B. the Franco-American Alliance C. victory at Yorktown D. the Proclamation of 1763 E. repeal of the Sugar Act 7. 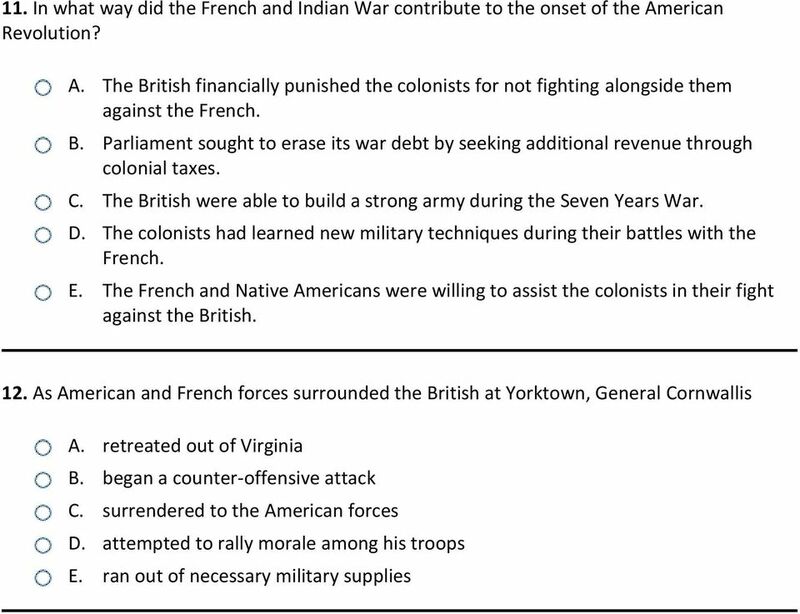 Which of the following best describes the role of Marquis de Lafayette in the American Revolution? A. He was the commander-in-chief of the British forces during the American Revolution. B. His leadership at the Battle of Yorktown helped the Americans defeat the British. C. He captured both New York and Philadelphia after his victory at the Battle of Bunker Hill. D. His training programs helped the Continental Army emerge from Valley Forge a better-prepered army. E. He surrendered to American and French forces at the Battle of Yorktown. 6 13. 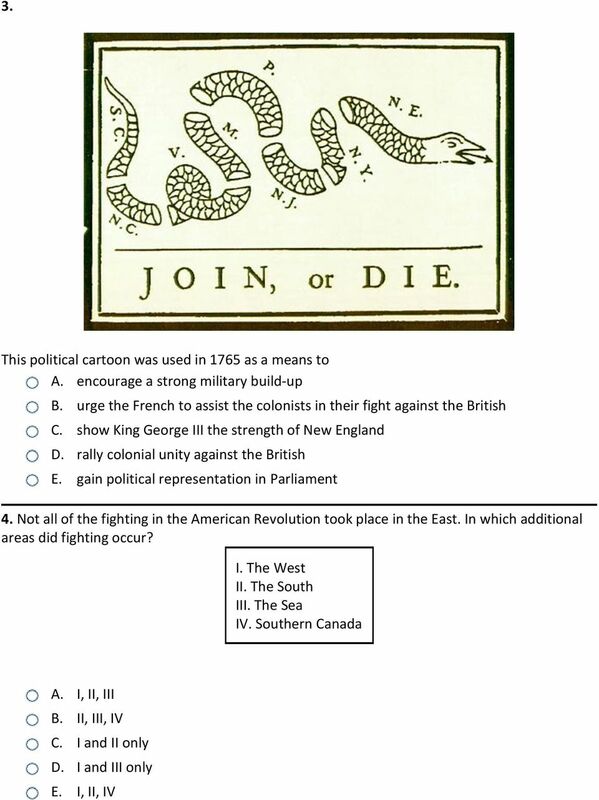 The illustration above depicts which American Revolutionary era event? A. the French and Indian War 14. 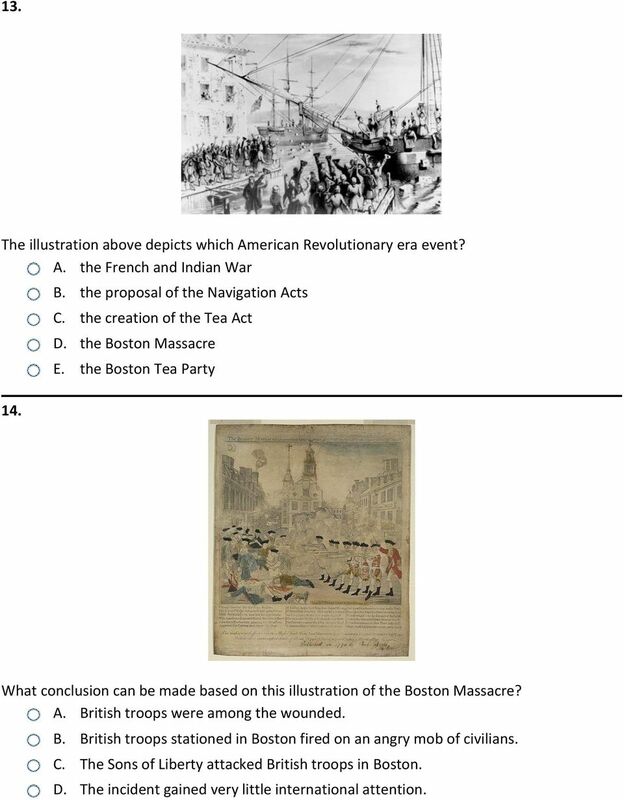 B. the proposal of the Navigation Acts C. the creation of the Tea Act D. the Boston Massacre E. the Boston Tea Party What conclusion can be made based on this illustration of the Boston Massacre? A. British troops were among the wounded. B. British troops stationed in Boston fired on an angry mob of civilians. C. The Sons of Liberty attacked British troops in Boston. D. The incident gained very little international attention. Who Was the Greatest American Revolutionary? SEPTEMBER. Nine Months in York Town. What. Where. When. Why. Who. 225th Anniversary of the Articles of Confederation. Sept. 30, 1777.